Mekong Delta is a famous tourist destination with many interesting activities. However, travelling to the Mekong River without experiencing the following 5 things would be not a truly complete journey. 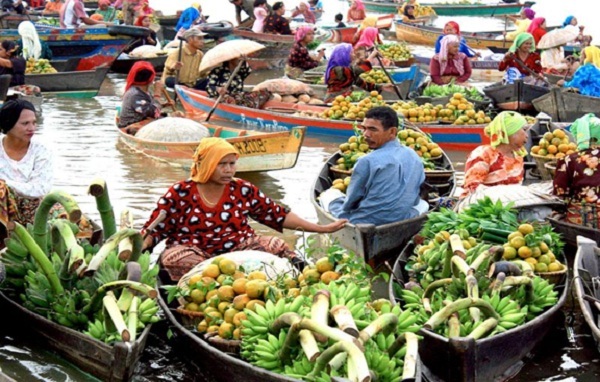 With the vast river system in the Mekong Delta, boats are the major means of transportation and therefore the exchange of goods or daily activities also takes place on the river. A lots of boats filled with different types of goods and the locals are crowded to trade on the river, which is called floating market. Visiting floating markets, tourists can explore rustic beauty of the living here. Also, tourists can participate in trading such as buying fresh fruits, the specialty of the river region. When traveling to West region, you surely should join this exciting experience. Sitting on a boat along the river means you have a chance to see the real life of the people here. You will see the locals on small wooden boats and the children swimming in the river. Explore the West region by boat will certainly be the best experience in your Mekong tour. Coming to the Mekong Delta, you will have chance to try doing specialties in traditional village such as cakes, coconut candy, “com” or to enjoy honey tea and discover many interesting things about culture of the visiting place. The traditional villages in the Mekong Delta feature prominent culture of river region with products impressing most of visitors. 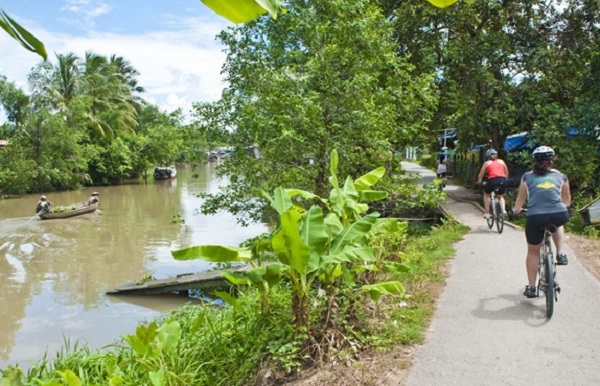 Cycling mekong delta is one of experiences not missed when coming this land. Cyclists can ride around the village, admiring the orchards of longan, mango, rambutan, plum, guava and enjoy the spectacular natural sceneries. If you are tired, then you can rest in a house of the local people or sit on the hammock in the orchards garden. Such are all truly exciting experiences you should not miss when travelling to Mekong Delta. 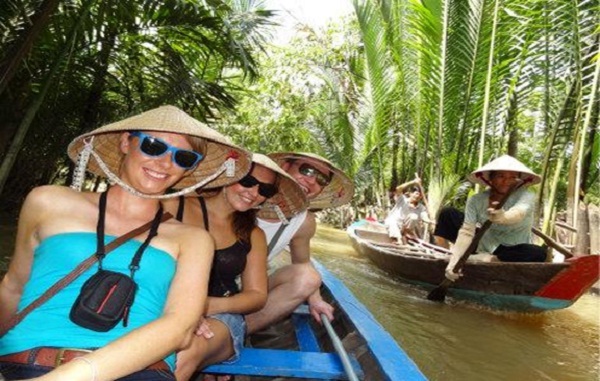 Let try once time setting foot on the river region and get unforgettable memories about the Mekong delta tour.